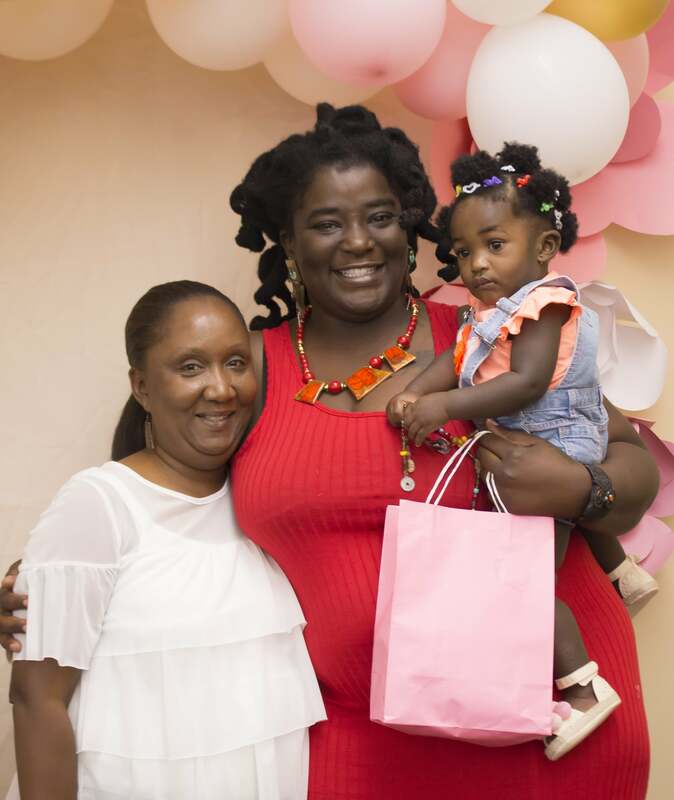 Sherrie McCullough attended the 2018 Healthy Families Mother’s Day Brunch with her daughter Anubis.They posed for a picture with Annie, her family support worker. “I knew she cared about me the first day I met her. She encouraged me to make sure my kids are safe, to do what needs to be done for them and she also encouraged me in my personal life,” Sherrie said about the three years in the Healthy Families Jacksonville program with Family Support Worker Annie Thomas. When Sherrie was pregnant with her son, Ra’Mellow Harris, she was nervous – which can be a normal reaction for first-time moms. What she sought from joining Healthy Families was encouragement, support, someone who could ease her worries and assist her in being the best mom she could possibly be. Healthy Families is a nationally-accredited family support and coaching program that helps parents provide the safe and stable environments children need for healthy growth and development. The evidence-based program is voluntary, and participants receive services in their home by specially-trained support workers. Since being in the program, Sherrie ensured that Ra’Mellow met all educational and developmental milestones. She utilized Healthy Families infant mortality prevention education, such as safe sleep, to keep him safe and healthy. Sherrie had her daughter Anubis and has continued to use the education she learned with her son. Ra’Mellow graduated the program in his cap and gown. Mom Sherrie and dad Ramondo both received certificates for completing the program. Sherrie brought flowers and a gift for Annie, and Healthy Families Program Director Marsha Davis is in the middle of the picture. Annie appreciates the support and inspiration she in turn receives from Sherrie. “She makes me want to be a better support worker to not just her, but my other clients as well,” Annie said. Annie is impressed with Sherrie’s serious involvement in the program. She frequently shares with other family support workers ways that Sherrie and Ra’Mellow have participated and reached their goals. Ra’Mellow was able to showcase his skills when kids in the program participated in the Growing Great Kids child development training on site. 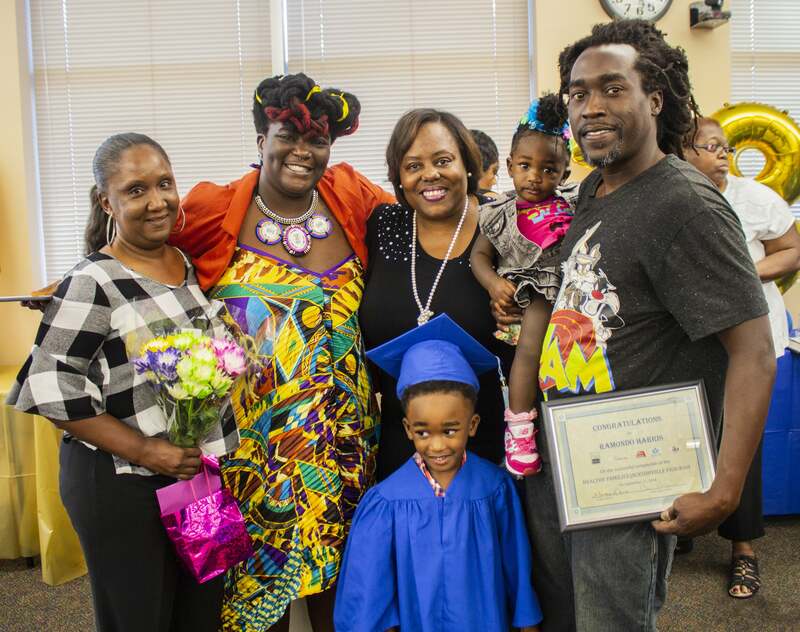 Sherrie and Ra’Mellow graduated from the program on September 27, but plan to continue their bond.